Wild Mustang Pair From Applewhite Hma galaxy s8 case by Craig Downer. Protect your Galaxy S8 with an impact-resistant, slim-profile, hard-shell case. The image is printed directly onto the case and wrapped around the edges for a beautiful presentation. Simply snap the case onto your Galaxy S8 for instant protection and direct access to all of the phone's features! 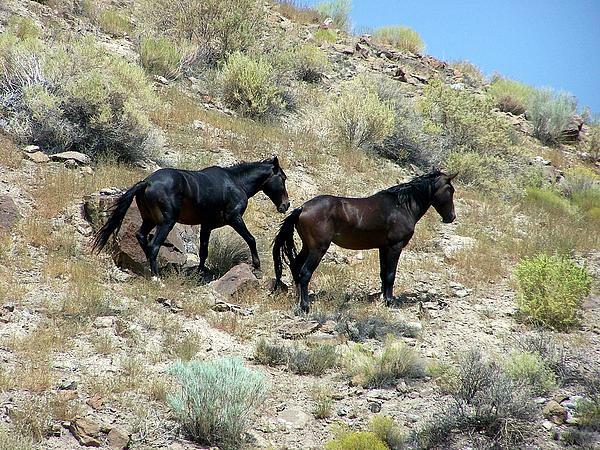 There are no comments for Wild Mustang Pair From Applewhite Hma. Click here to post the first comment. Here is a wonderful pair of dark wild horses, or mustangs, in the Applegate HMA of SE Nevada taken in August of 2009 when we were fighting from keeping the Caliente Field Office and the Ely District Office of the BLM from zeroing out not only this HMA but 12 HMAs in this region where 1.4 million acres of legal wild horse areas were estimated to contain only ca. 620 wild horses. 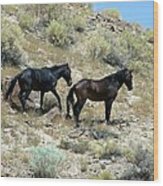 As you can see, the wild horses were in fine condition and very sparsely distributed, unlike the cattle grazed by ranchers here, yet the BLM maintained that the wild horses were overpopulated and starving, both very much contrary to the truth. 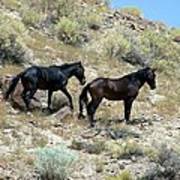 Inspite of the well argued and factually based legal protests of several of us, the Interior Board of Land Appeals gave us no fair hearing but only rubber-stamped this grievously unfair decision on the part of BLM. 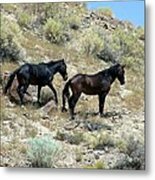 See my book The Wild Horse Conspiracy, available on amazon as eBook or in print.